Sine 1999, we have assisted a broad range of higher education institutions utilize information technology to improve productivity and performance in the delivery of student services. 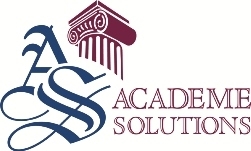 Our clients include leading public & private colleges and universities, occupational based technical and community colleges, public university & community college systems, strategic military centers, and innovative for-profit education corporations. Our philosophy is based on the simple idea of providing quality services that add value and produce positive outcomes for our clients. We approach our relationships with clients as a collaborative partnership. Fee arrangements are flexible and cooperative, and based on the explicit needs, timeframes and budgets of each customer. Academe is committed to excellence in addressing the challenges and obstacles confronting institutions today, and preparing for the issues and trends that will impact higher education in the future.